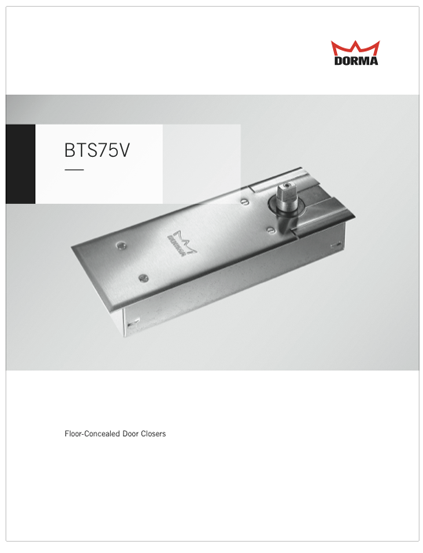 The DORMA BTS 75 V is a highly adaptable floor spring suitable for all standard single-, and double-action doors with widths up to 1100 mm, with its closing force individually regulated by means of an adjustment screw. Certified manufacture to ISO 9001. 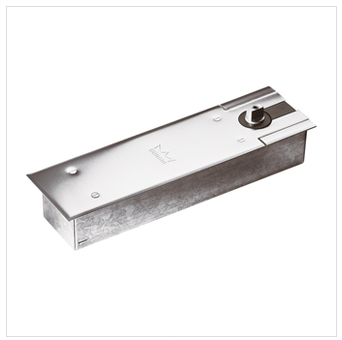 Whether standard, narrow or wide, whether LH, RH, or single or double-action – the DORMA BTS 75 V door spring is designed for all types of doors. A comprehensive program of accessories ensures that it can be used successfully with a wide variety of door constructions and floor coverings. Thanks to a wide range of functions which can be individually selected to suit different requirements, DORMA BTS 75 V floor springs offer maximum reliability and quality.